In our most recent posts, we shared the basic exercises for strengthening your core and improving the health of your spine. But, if you are like our friends at Crossfit269, you may want to go deeper and get more detailed exercise progressions. 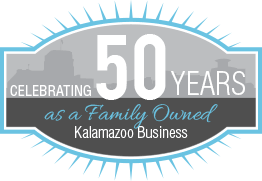 If it sounds like we are reading your mind, then this post is for you! Last Saturday, Dr. Steve taught a Spinal Stability workshop at Crossfit269. He explained the anatomy of the spine, the purpose and function of the “core”, and the specific exercises to accomplish a strong core and stable spine. This blog post will share the exercises from his presentation. So, why is this important? Or better yet, why would someone take the time out of his or her Saturday to learn about the spine? To put it simply: the quality of your life is directly dependent on the health of your spine. 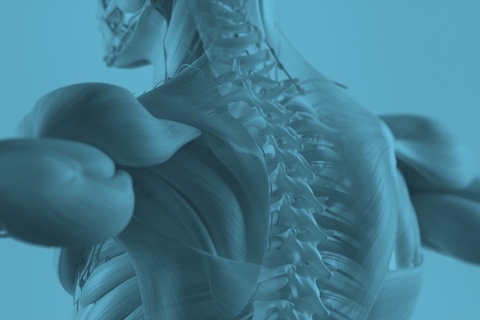 So, whether you are a couch potato, weekend warrior, competitive athlete, or anything in between – you only get one spine, and now is the best time to start taking care of it. Below you will find a very specific set of exercises that will strengthen your core and build spinal stability. The progressions move from level 1 to 5, beginner to advanced. Dr. Steve discussed and demonstrated these during his workshop, and we hope to add video examples soon! Front Plank: Elbows beneath your shoulders, legs straight and fully engaged. Hold this position for as long as possible, while keeping your hips centered and spine straight. “Shaking” is acceptable but if form is lost or pain ensues, stop immediately. The goal is to perform at least one plank/day and improve on the previous days’ time. Remember, keep correct plank form and don’t let hips fall to floor or rise to ceiling. Side Plank: With feet staggered, top foot in front of bottom, elbow aligned below the shoulder. For instance, if performing right side plank, right elbow is on floor while left leg is staggered in front of right foot. Goal is to hold exercise as long as possible once/day on both sides and improving on previous days’ time. Remember, imagine you are between two panes of glass and eliminate rotation from static hold. Bird Dogs: While on hands and knees, (knees directly under hips and hands directly under shoulders), goal is to raise the opposite arm and leg at same time while keeping a neutral spine. Perform at least one series per day on each side and hold as long as possible before form is broken or physically unable to continue. Extended Side Plank: Similar to side plank in progression one, as all principles hold true for extended side plank. The only difference is the fact that you have an extended arm rather than a bent elbow. Supermans: While on stomach, extend arms above your head. With initiation from the glutes, raise arms and legs towards ceiling. Hold this position for five seconds, relax for two seconds, and repeat. Two sets of five should be performed at least once/day. Remember, there should not be “cramping” or initiation of movement from hamstrings or low back musculature. Let the power and fulcrum initiate from the glut muscles and hip region. Extended Bridge: Similar to extended plank in progression two, goal here is to start walking extended arms above forward while keeping plank position. Only walk hand as far as you are able while keeping perfect form within plank position. In the first two progressions, you are able to “get away” with losing form with minimal injury. However, if during an extended bridge form is lost, low back and spinal musculoskeletal injuries become prevalent, so be sure to master extended plank. As with most progressions, hold extended bridge as long as possible at least once/day and improve upon previous times. Extended Side Plank: See Progression 2. Extended Bridge: See Progression 3. Single Arm Farmers Carry: This movement requires a weight which will vary for each individual. Start off light with the ability to increase as movement is perfected. As far as motion is concerned, lift the weight in one hand and hold it by your side. Start walking with a normal gait and keep weight by your side. You should be perfectly upright with no noticeable leaning. “Strain” is expected but keeping proper posture with a neutral spine is essential. 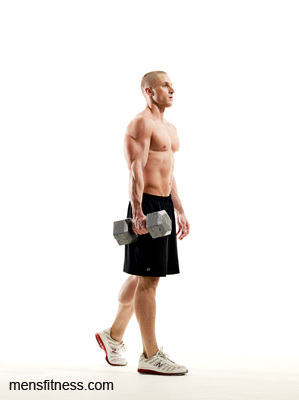 Walk with the weight in one hand for 50 feet, switch hands, and walk another 50 feet with weight in the other hand. Perform two sets every other day and increase weight when necessary. Supermans: See Progressions 2 & 3. 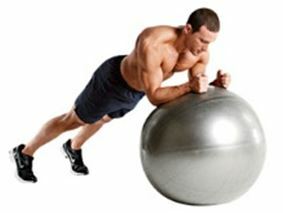 Stir The Pots: This is essentially a front plank with the utilization of a BOSU ball. Placing the BOSU ball under your forearms (while in a front plank hold), start with holding this “unstable” front plank as long as possible. Once at least 15 seconds is accomplished, start implementing small movements with your arms to increase functional stability. These movements should be lateral, front / back, and rotational in nature. Performing sets of one minute in duration is the goal with stir the pot exercises. Single Arm Farmers Carry: See Progression 4. 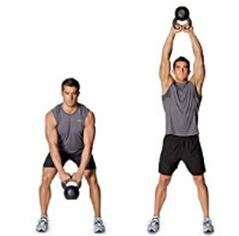 Kettle Bell Work: When it comes to progression five and kettle bell work, please utilize the expertise of Jack Kelly (head coach at CrossFit 269). This is an essential progression with regards to proper core strengthening and better explained by a trained professional.